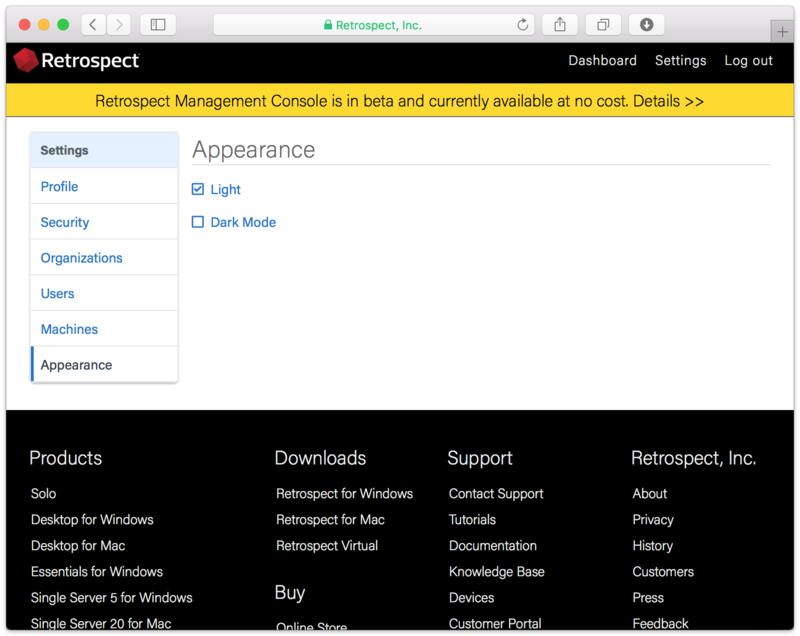 As a holiday gift, we’re pleased to announce support for "Dark Mode" for the Retrospect Management Console. 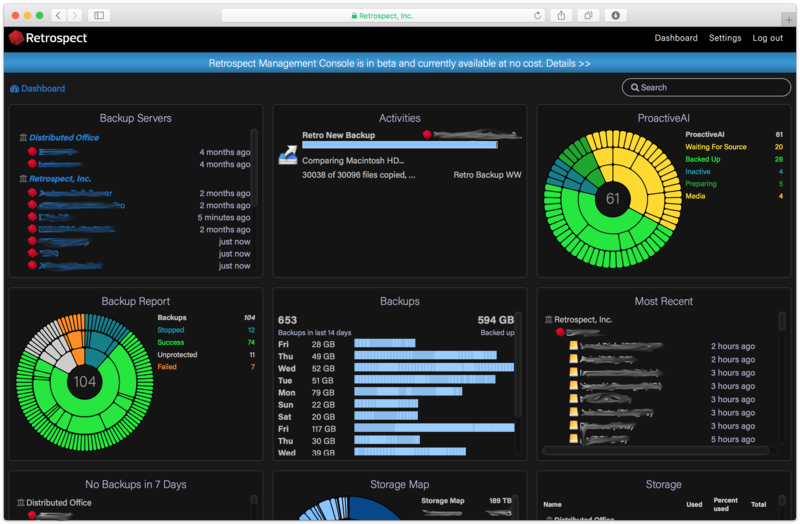 With the releases of macOS Mojave and Windows 10 October 2018 Update, "Dark Mode" support has been a frequent request from our customers beta testing the Retrospect Management Console. In "Settings", there is now an "Appearance" tab. You’ll see the default "Light" is selected. You can enable our dark theme by selecting "Dark Mode".